These keto smoothies are protein packed, low carb and will fit right into your macros! 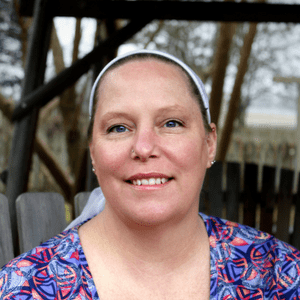 Do you miss smoothies on the keto diet? Oh, I used to. They are a great way to get valuable nutrients, especially on the go. Most smoothies have a yogurt base, with loads of added sugar. We used to use vanilla yogurt, and add honey to ours. On top of the sweet fruit. Ugh, all that sugar! Sure, it had some benefits, but the sugar outweighed it all! Can you eat yogurt on keto? Is yogurt really keto friendly? Milk is made up of four components: Water, Lactose (or milk sugar), Protein and Fat. For Keto, lactose is the only undesirable constituent. In Yogurt, the Lactose is eaten up by bacteria. 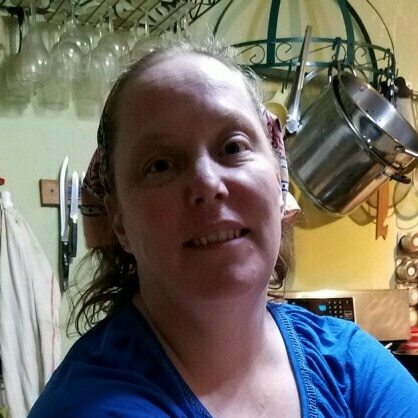 So, Yogurt makes for a good inclusion in Keto diet. However, stay away from sweetened or flavored yogurts as they typically contain added sugars. Similar to sour cream, Yogurt or curd, is made by fermenting whole milk. 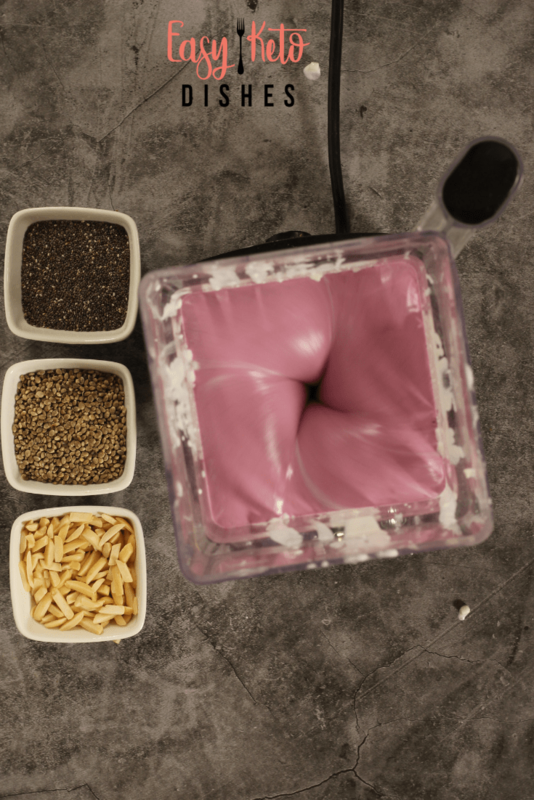 The fermentation brings down the lactose content considerably and thickens the milk. The tangy taste in yogurt is the lactic acid created by bacteria and other micro-organisms. 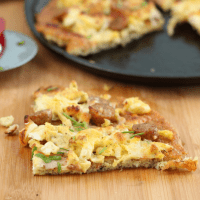 Typically a serving comprises 8-10 grams of fat, 20-25 grams of protein and less than grams of carbs, making it suitable for Keto. Because each person is different, the best way would be to consume the yogurt in question, wait an hour and test your blood ketones levels. So, what is the best yogurt for keto? I did a check on some of the main brands at my local grocery store. What I found is that no 2 yogurts are the same. The different brands range from 7 grams of carbs all the way to 15 for plain, whole milk yogurt. When you add in any flavoring or fruit, that can take your carbs all the way to the end of your daily limit! It’s surprising that they all have basically the same ingredients-cultured milk, and active cultures, but can have such a wide range of net carbs! 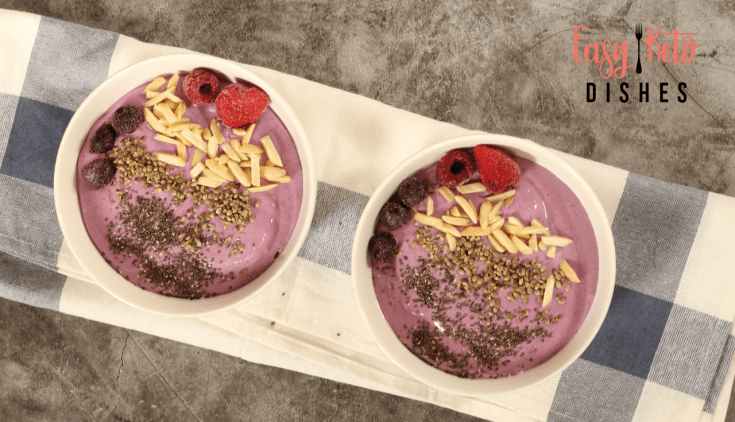 With that in mind, I chose something else to make these protein packed keto smoothie bowls. Can you believe that cottage cheese is an awesome base? Yes, it sure is! At 4 net carbs and 14 grams of protein per 1/2 cup serving, it’s a powerful way to get your proteins while balancing your fat and carbs! Adding in some low carb fruit, such as frozen berries will sweeten it just fine without any added sugar. 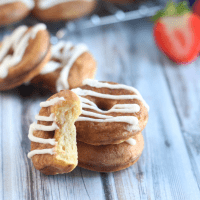 However, if you really need it to be a bit more sweet, add a donk of stevia or a Tablespoon of erythritol, both which will not affect your blood sugar levels. 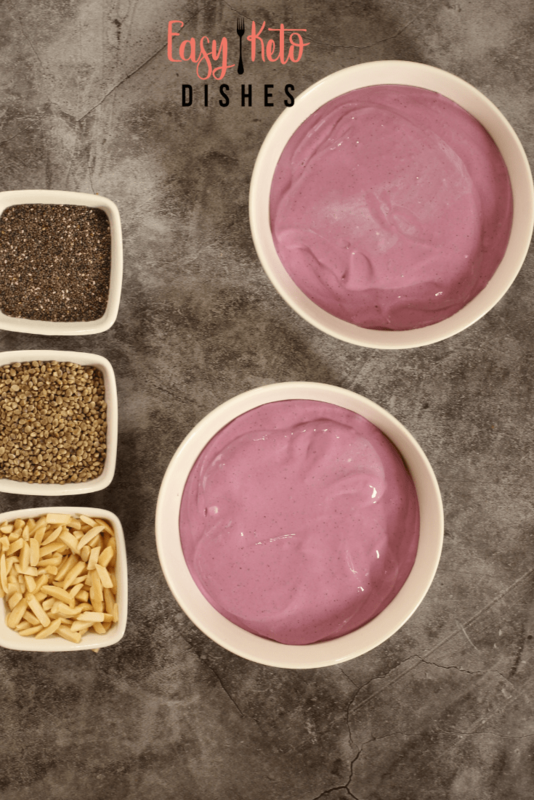 Are you ready to make a protein packed, keto smoothie bowl? 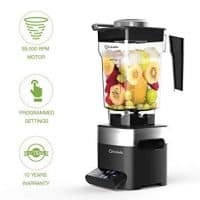 First, you will need a blender or food processor. The cottage cheese may take more than a regular blender can handle, so if you need to loosen it up a bit, add some water a couple Tablespoons at a time. 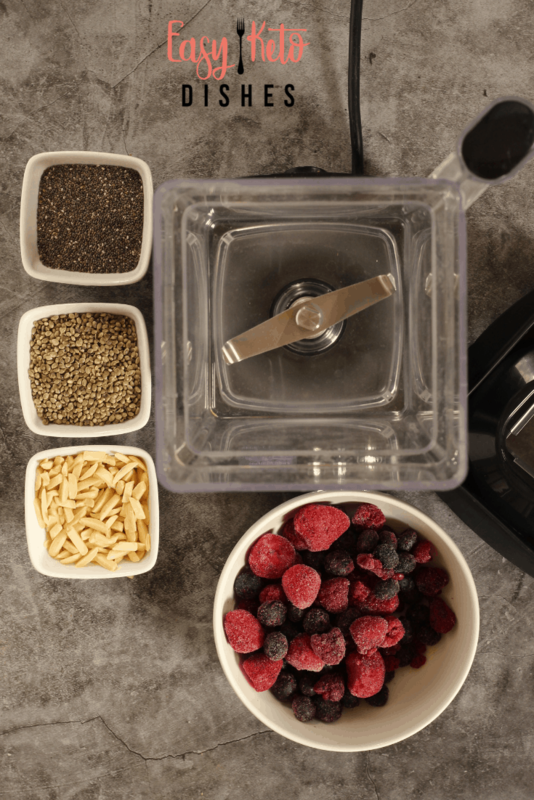 Add your cottage cheese and frozen berries to the blender and blend on high until smooth. Pour into your bowls. At this point, you could just enjoy it as is. If you really wanted to, you could pour it into a glass and enjoy it that way. However, the cottage cheese and frozen fruit make a rather thick concoction that would need to be thinned out with water to be drinkable. Top with almonds, chia seeds, and hemp seeds if desired, and enjoy! 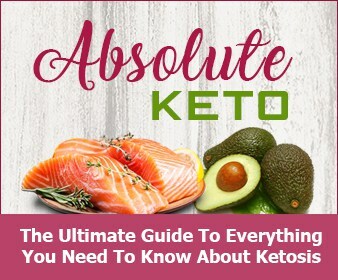 A lot of people struggle to get their fiber in on the keto diet. While I am not a fan of labeling something a “super food”, chia seeds and hemp seeds certainly have a lot of qualities. 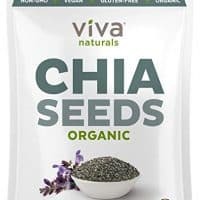 Chia seeds have 10 grams of healthy fat, 6 grams of protein and they are ALL fiber, meaning zero carbs. This is per 2 Tablespoon serving. They have little to no flavor, and often serve as a thickening agent in many foods. Of course, I can’t stop singing the chia head song, “Ch-ch-ch-chia”, but that’s another story. Again, for the good nutrients. 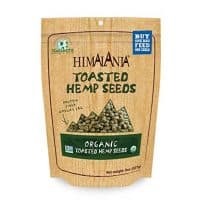 Hemp hearts are a great source of iron and Vitamin B6, while having 11 grams of healthy fat, 8 grams of protein and only 1 net carb per 3 Tablespoon serving! 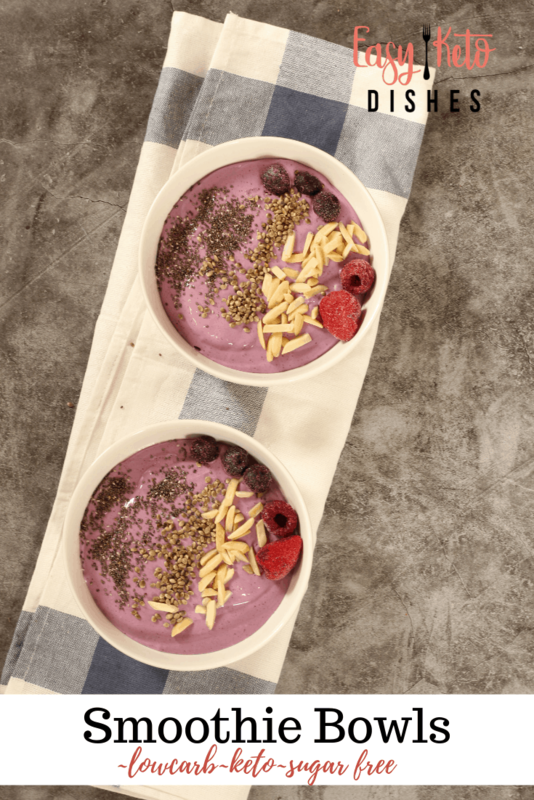 Getting roasted hemp hearts make a yummy addition to these keto smoothie bowls . They have a nutty flavor and a texture similar to shelled sunflower seeds. 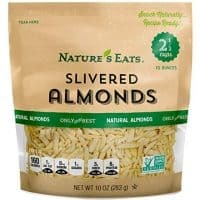 Almonds are famous on the keto diet. They are low in carbs, full of fiber and protein. A 1/4 cup serving of slivered almonds has 14 grams of fat, 6 grams of protein and 3 net carbs. 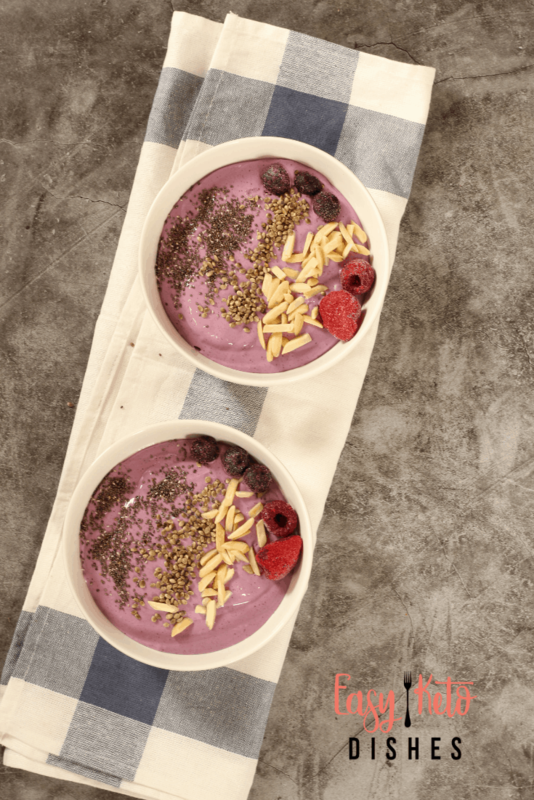 If you are running out of carbs, or want to reduce them a bit in this keto smoothie bowl, you can either lessen the almonds or leave them off altogether. Place cottage cheese and berries in blender or food processor. Blend until smooth. Pour into 2 bowls and top with remaining ingredients. Serve immediately. Store any leftovers in the fridge. What is your favorite way to start the day? Will you try this protein packed keto smoothie bowl? Be sure to let me know what you think! Pour into 2 bowls and top with remaining ingredients.Serve immediately. I’ve been looking for some creamy smoothie and smoothie bowl recipes since starting keto but never could find the right one. I had never thought to use cottage cheese, it gives it a bit of a tang that I like. I also tried the base with a dollop of almond butter and some Lily’s baking chips. Great dessert.